With mysql2 now working on Windows here’s a small update to my hacked together Rails on Windows installer. 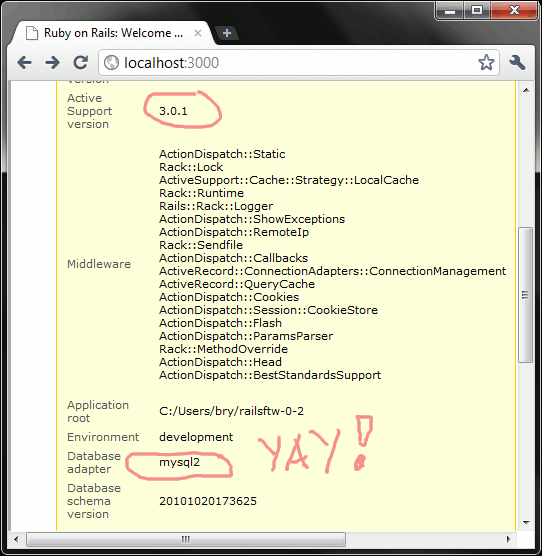 I also took the opportunity to update the Rails to 3.0.1. I haven’t gotten around to setting up one yet. Basically it’s just a RubyInstaller with Rails, SQLite, and MySQL packaged along with Ruby 1.9.